Today I’m adding two titles to the Movies You Might Not Know list that go together thematically. They’re both documentaries about musicians who faced harsh criticism for speaking out against the leadership of this country, but whose careers were not curtailed, nor their voices squelched. When the comment was printed in a London tabloid, the echo reverberated back home, where conservative commentators blasted her, country radio stations pulled their music off the air, and some fans burned and destroyed their Dixie Chicks CDs. The band still played sold-out shows overseas, but the backlash in the US hurt their domestic business considerably, and the movie follows these talented musicians and singers as their families expand but their fan base shrinks. The most compelling parts of the documentary show the discussions Maines, Emily Robison, and Marti Maguire have with their manager, Simon Renshaw, about how to handle the situation — including changing tour security in the face of death threats, whether they should try to maintain a relationship with country radio, and how to answer their critics both at press conferences and on their next album — without losing their integrity or sacrificing their sound. It’s a fascinating look inside the music industry and at the resiliency of the band as they discover who they are and what they stand for. 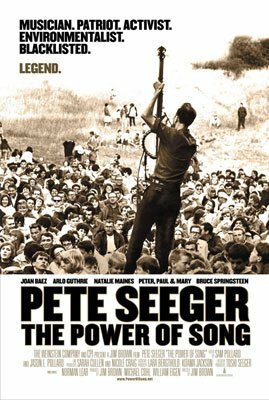 The other movie is “Pete Seeger: The Power of Song,” which follows the career of the legendary folk singer — inductee of the Rock & Roll Hall of Fame, Grammy Lifetime Achievement Award winner, recipient of the National Medal of Arts, and Kennedy Center Lifetime Achievement honoree — from his early days with Woody Guthrie to stardom as one of The Weavers to being blacklisted for standing up to the House Unamerican Activities Committee to his anti-war songs to his efforts to clean up the Hudson River. Along the way, you hear from some of those Seeger inspired, including Bob Dylan, Bruce Springsteen, Bonnie Raitt and, yes, Natalie Maines. There’s also a chilling section about a 1949 performance in Peekskill, New York by Seeger and Paul Robeson that was marred by violence from so-called patriots whose concept of free speech meant using rocks and baseball bats to smash car windows and injure dozens of concertgoers. The documentarians provide plenty of footage of Seeger doing what he does best, playing banjo and guitar while enticing huge crowds to sing along with him. Anyone who’s ever seen him in concert knows Seeger won’t let you sit there and just watch. He makes it a truly interactive experience, and before you know it, you’re part of the chorus on “We Shall Overcome,” “Turn Turn Turn,” “Where Have All The Flowers Gone,” and others from the great American folk songbook to which he has contributed so much.  See the entire Movies You Might Not Know list, then feel free to recommend your own.